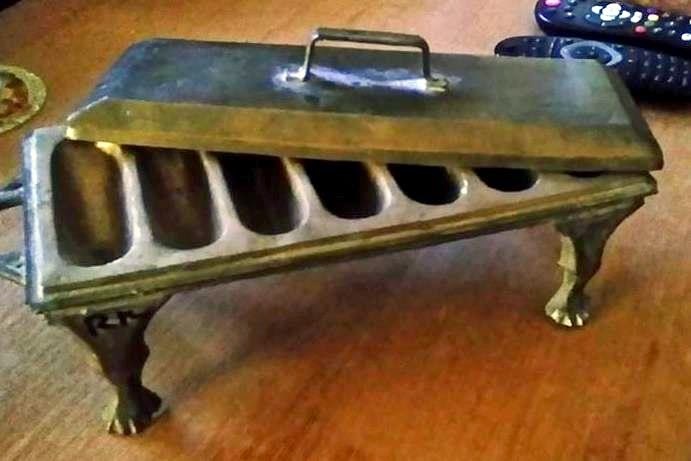 I bought the above with a number of old Brunei pots and pans and wondered what it does. It took me quite a while to figure it out until I posted it on my FB page and I got the answer. The above is the tray for making this Brunei delicacy called Kueh Takis. BANDAR SERI BEGAWAN, 27th September 2014 - Bruneian passport was ranked 17th in the world for travelers in a recent survey, based on the number of visa-free countries its holders can travel to out of one hundred and seventy four destinations. 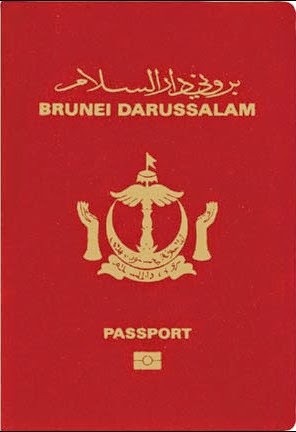 According to the 2014 Visa Restrictions Index, holders of Bruneian passports can travel to one hundred and fifty countries without visas. Singapore and Malaysia were the only two Southeast Asian countries that made it to the top ten in the 2014 index. Singapore was ranked fifth in the world, as Singaporeans can travel visa-free to one hundred and seventy countries, while Malaysia was ranked eighth, as Malaysians can travel visa-free to one hundred and sixty six countries. BRUNEI stands united with the international community in combating terrorism in all its forms and rejects extremism, and supports all regional and international efforts in countering terrorism, His Majesty the Sultan and Yang Di-Pertuan of Brunei Darussalam said yesterday. His Majesty was speaking at the 69th session of the United Nations General Assembly General Debate Session at the UN Headquarters Building in New York. 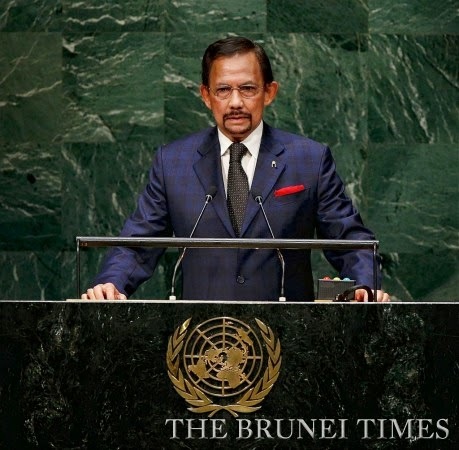 In his titah at the UN General Assembly, His Majesty said that Brunei has participated in UN peacekeeping, specifically UNIFIL, and other international peace monitoring missions in southern Philippines. “We are gravely concerned with security developments in many parts of the world where further escalation of conflicts can weaken the international community’s resolve and ability to achieve our world-wide initiatives. 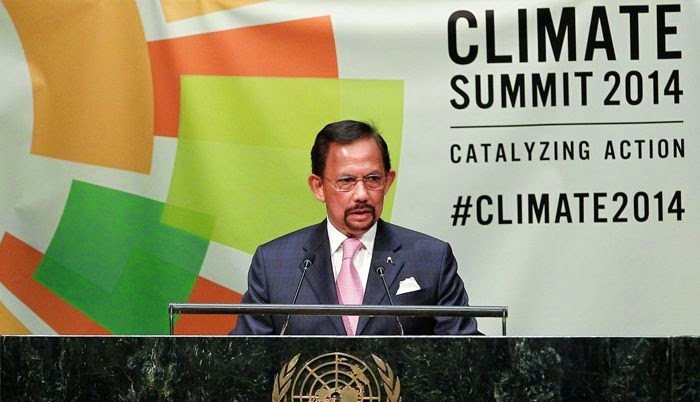 NEW YORK, 24th September 2014: His Majesty the Sultan Haji Hassanal Bolkiah Mu’izzaddin Waddaulah, the Sultan and the Yang Di-Pertuan of Brunei Darussalam in his titah yesterday informed the United Nations Climate Summit that the Sultanate was targeting a sixty three per cent reduction in total energy consumption by 2035. Brunei Darussalam aims to achieve this by reducing fossil fuel demand for inland energy use, and through a revised power tariff that encourages energy savings. As of 2013, Brunei has managed to attain an average reduction in energy consumption of 13.9 per cent. The Government of Brunei Darussalam further aspires generate at least ten per cent of total power from new and renewable resources by 2035 His Majesty added. The Monarch yesterday morning consented to attend the United Nations Climate Summit and delivered the titah at the plenary session. The summit was held at the United Nations Headquarters Building in New York, United States of America. Vocational training has become a key focus in Brunei Darussalam as it aims to meet the shifting demands of its economy as well as the challenges that economic integration with the rest of ASEAN is expected to bring after 2015. In addition to a wider development of the primary education system, the Sultanate is overhauling its technical and vocational education (TVE) subsector. Traditional public and private universities have been complemented by a growing number of technical and vocational institutions over the years as the country continues to grapple with rising unemployment and a growing reliance on foreign workers. Bandar Seri Begawan, 19th September 2014 - Jerudong Park Amphitheatre burst with colourful lighting as Radio Televisyen Brunei (RTB) and National Broadcasting Services of Thailand (NBT) hosted a joint musical variety show - ‘Alai Pa Plern’. Artists from Brunei and Thailand took the stage and showcased their talents with traditional cultural performances. The event started with the exchange of gifts from Brunei who was represented by the guest of honour, Hj Md Rozan Dato Paduka Hj Md Yunos, Permanent Secretary (Media and Cabinet) and Dr Charoon Chaisorn, Deputy Director, Public Relations Department, representing the Permanent Secretary of Thailand’s Prime Minister Office. 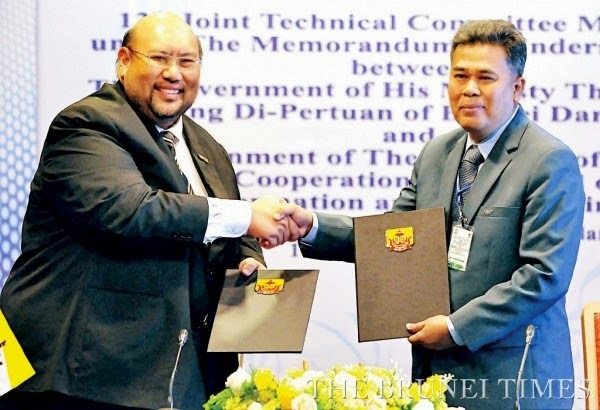 Friday, September 19, 2014 - BRUNEI and Thailand signed a Letter of Transmittal to mark the closing of the 13th Joint Technical Committee Meeting in the field of Broadcasting and Information held at the Centrepoint Hotel yesterday. Permanent Secretary (Media and Cabinet) at the Prime Minister’s Office (PMO) Hj Mohd Rozan Dato Paduka Hj Mohd Yunos signed on behalf of Brunei. The Permanent Secretary of the Office of the Prime Minister of Thailand was represented by Deputy Director General at the Public Relations Department Dr Charoon Chaisorn. In his closing remarks, Hj Mohd Rozan listed out several of the areas that were discussed during the meeting which included the production of a “Joint Musical Variety Show”. He hoped that the “new format can attract more youth” and is “able to deliver the key message” to a wider audience. Thursday, September 18, 2014 - NEW media can help promote and develop literature, particularly Malay literature, in terms of improving interaction with readers, especially with the current cyber advances and multimedia interfaces. “A writer is no longer tied to one medium in terms of publishing his works… There are now a lot of ways to publish (their work) such as websites, blogs and others using the (latest) appliances such as personal computers, tablets, phones and so on,” said Hj Mohd Rozan Dato Paduka Hj Mohd Yunos, Permanent Secretary (Media and Cabinet) at the Prime Minister’s Office yesterday. 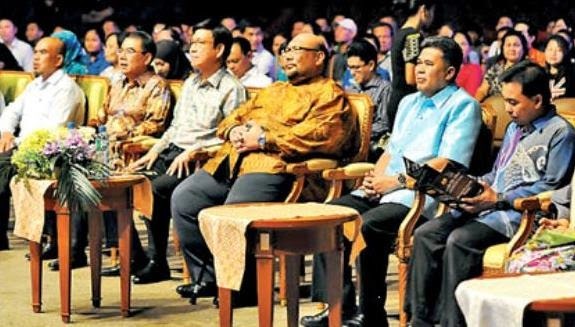 Speaking during his keynote lecture at the opening ceremony of International Seminar on Southeast Asia’s Literature, he noted that the new cyber and multimedia have made it possible to connect writers and their readers. 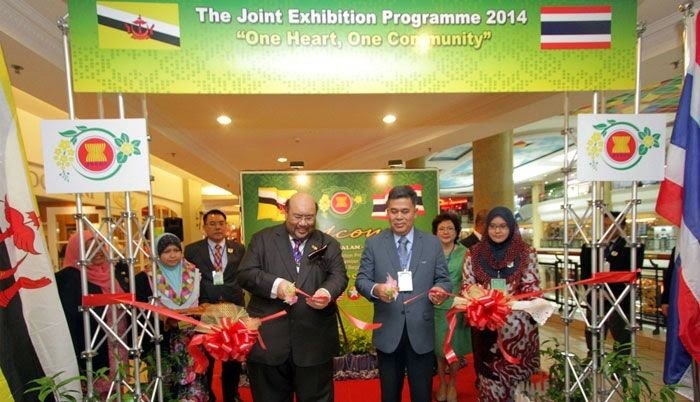 BANDAR SERI BEGAWAN, 16 September 2014 : The Joint Brunei-Thailand Exhibition is focused on the ASEAN aspiration to become a community by 2015 as well as the efforts that had been and are being carried out towards its realisation. The Exhibition themed, 'One Heart, One Community' was declared open by the Permanent Secretary for Media and Cabinet, at the Prime Minister's Office, Awg Haji Mohammad Rozan bin Dato Paduka Haji Mohammad Yunos and the Head of Delegation as the representative of the Permanent Secretary at the Prime Minister's Office of the Government of Thailand, Doctor Charoon Chaisorn. Thursday, September 18, 2014 - BRUNEI and Thailand’s active role in the ASEAN Digital Broadcasting project is hoped to encourage ASEAN members states to work together to meet the Analogue Switch-Off (ASO) target between 2015 and 2020, said the Permanent Secretary (Media and Cabinet) of the Prime Minister’s Office yesterday. 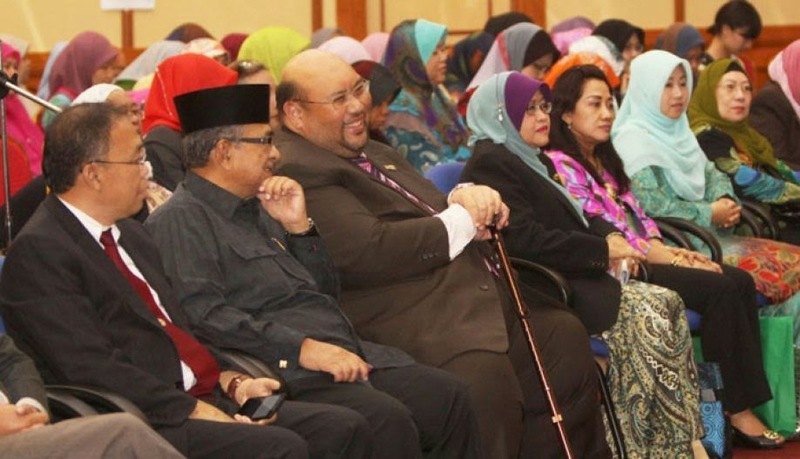 “As we are a part of the ASEAN Community, we continue to find new ways to produce programmes to generate and enhance greater understanding of our governments’ efforts to realise the ASEAN Community by 2015,” said Hj Mohd Rozan Dato Paduka Hj Mohd Yunos. 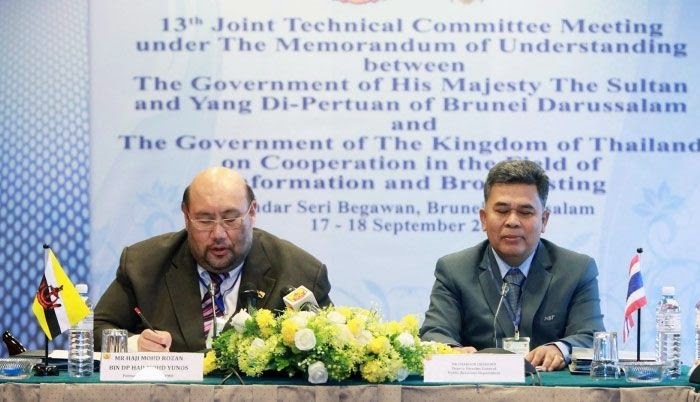 The permanent secretary was speaking during the opening ceremony of the 13th Joint Technical Committee Meeting under the Memorandum of Understanding between the Brunei government and the Thai government on the cooperation in the field of Broadcasting and Information held at the Rizqun International Hotel. Santa Leonora, a 5102 gross ton passenger liner built at Camden, New Jersey, for W.R. Grace & Company, was taken over by the Navy upon completion in July 1919 and placed in commission at that time as USS Santa Leonora (ID # 4352-A). 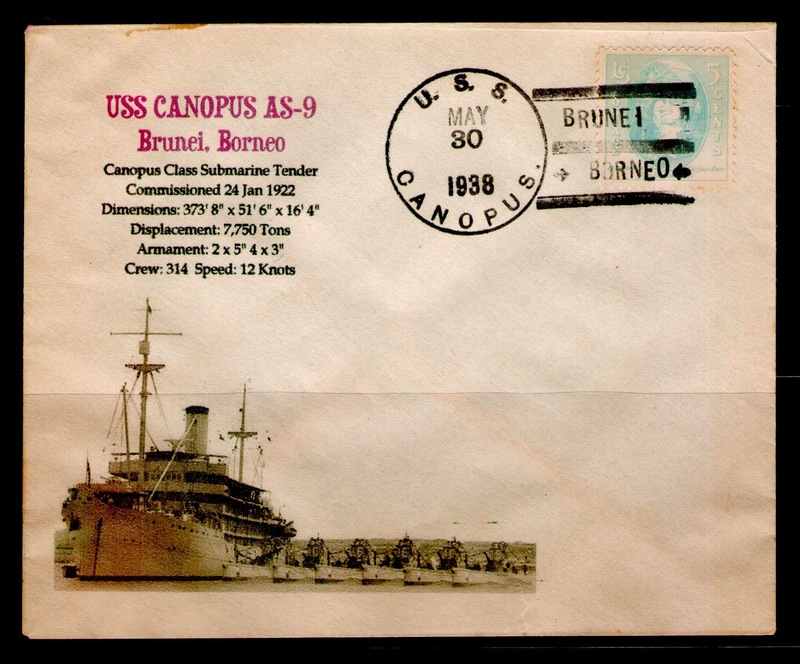 She was briefly employed as a trans-Atlantic troop transport before being decommissioned and transferred to the U.S. Army in September 1919. I cannot remember when I first heard of this book and was wondering how I was going to get it. Luckily my colleague went off to Singapore and bought me a copy. The Limbang Rebellion was part of the Brunei Rebellion in December 1962. I noticed that lately many recent books write about the 1962 event as the start of the Malaysia-Indonesia Konfrontasi whereas we in Brunei see it in our own context and less in the context of the wider regional struggle.